"MICHAEL'S BACK! But is he back as the same Michael we've known in the past? I'm not so sure. Based on what we see of the next episode....Michael is telling them "I saw the others....they are unarmed....we can take them!!!" Guess who else is unarmed as he stumbled upon Jack and Kate? Yep, Michael did not seem to have his crazy rifle with him. Here's my guess on what's going to happen. The Others promised Michael that he would get Walt back if he helped set up a trap for his fellow survivors. " Well it's tough to break this episode into categories because all of the sub-plots were interweaving! But I'll give it a shot! So everyone's favorite character to hate is back for another round of flashbacks. Of course it really didn't seem like her flashback at all. The main story for Ana Lucia was a tale of redemption for shooting the man that killed her baby. And she went on a whirlwind (seemingly pointless) trip to Australia to find herself. But the main point of the flashback seemed to revolve around getting more information on Jack's Dad (Christian, is it? Let's just call him Jack's Dad). Apparently, he has had quite some interaction with the survivors of Flight 815. Kinda makes you wonder if HE is one of the masterminds behind the whole thing! (oooh the chilling "hallucination" that Jack saw of him early in Season 1 comes to mind!) As soon as I saw him recruiting Ana Lucia to be his bodyguard (after she quit the Police Force to become an Airport Metal Detector Inspector (yeah I just wrote that for the ridiculous rhyme scheme)) for this crazy trip to Australia, I was hoping we were going to get to see how Jack's Dad met his death. But alas, this will be saved for another season. Instead we got to see the steps that led up to Jack's father being on the greatest Drunken Stupor of anyone's life and his run-in with Sawyer (which we saw in a Season 1 Sawyer flashback) at the random bar in Sydney. So what did we see and/or learn in this flashback? More trivial numbers stuff. Ana Lucia's Cop Car had the NUMBERS on it. Also Patsy Cline was heard on the Radio "Walkin After Midnight" Lost loves their Patsy Cline. And once again we are reminded that patsy ALSO died in a plane crash! Was this the first flashback that took place IMMEDIATELY where another flashback left off? I'm thinking it was. Because most of the Season 1 Flashbacks dealt with how each survivor ended up on Flight 815, and their next flashbacks went further into the past. But, Ana Lucia's first flashback was further back, and THIS one dealt with her getting on that plane. A little meaningless Trivia for you there. But hey, you never know when this stuff will show up in an upcoming edition of LOST SceneIT! And thanks to me, you'll be ready! Okay, so the whole confrontation with the lady in Australia at the house. Obviously, there is more to this story. The lady kinda resembled Claire and Jack's Dad was saying that he had a Daughter and that he pays the mortgage on the house. Rumors are that the lady might be Claire's Mom...making Jack and Claire half-bro/sis's....but don't hold any weight to that just yet! But then again, why would they introduce a major plot point that Jack's father has a Daughter and that Jack may have a potential Step-sister, if she WASN'T on the island? And by process of elimination, who else could the daughter be? Kate? eewwwww I don't think so. Sun? (that's funny!) 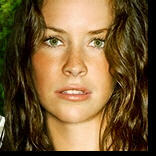 The other thing is that Claire is the only native OF Australia in the main cast. And her mother probably lives in Australia too! Yeah...for someone who doesn't want to hold any weight to the rumor, I'm sure going out of my way to convince everyone that it's true! Ever notice when I write these blogs, that I am thinking up this stuff as I write? If you didn't, now you know! Just as a confirmation that Jack's Dad was heading to the same bar he talked to Sawyer in, we see Sawyer run into the car door as Jack's Dad was getting out. "Hey I'm walking here!" As I said, this was a tale of Redemption for Ana Lucia, and an effort on the writer's part to make us feel sympathetic to what was about to happen to her on the island. But she was inspired in the Airport by Jack's memorable speech about getting his father's body on the plane with the Airport Check-in Lady. We found out that Ana Lucia DID know a bit more about Jack before she ran into him at the bar. Naturally, she didn't know that Jack was talking about the same man that she was "bodyguarding" around. Anyway, she called to apologize to her Mother (chief of police) and that she wanted to come home. She knew that she had killed a man in cold blood and had finally found herself. Henry tells Ana Lucia that Goodwyn thought that Ana Lucia COULD be a good person, and she ended up killing him. More on the GOOD PEOPLE vs BAD PEOPLE. Didn't Hitler think he was doing the world a favor with his Ethnic Cleansing? It seems like the OTHERS are dillusioned (is that a word?) into this very mindset. Or are THE OTHERS truly a force of good and we've been following around the TRUE ENEMIES for 2 seasons? Thinking like this will make your head spin! Ana Lucia and Sawyer have some tiffs in the jungle and end up doing some "Dancing." Man, this is the first action Sawyer has gotten in 2 seasons! (besides his graphic Kiss with Kate in season 1). While Ana probably could've just gotten away with a Kiss for her plot to steal the gun, I guess she wanted a little satisfaction too. Here's the thing, I think we've learned now, once you perform the physical act of Love on LOST ISLAND, your time may be running short! (remember Shannon?) Call it coincidence, call it whatever you want. The facts are there! Ana's tale of redemption in the flashback ends with her being unable to finish Henry off. We'll discuss what happens instead, in a little bit! Sayid suggests to Hurley of taking Libby to a certain area of the Beach where he took Shannon last season. Little does Hurley know that when Sayid DID take Shannon away, her brother Boone died. Does this suggest that when anyone that wants to have a picnic on the beach, someone will have to suffer for it? Again, nothing concrete here.....but the facts are there! Yes, and I know it would seem rather silly for this to actually be the case. But it is an interesting parallel to season 1. Hurley makes a comment to Libby that if he drinks some wine he may get drunk and remember where he knows her from. Libby gave a very awkward look to him before she headed to that Hatch to grab the wine. And with us knowing that Libby was also in that Nut House with Hurley, there is still more story to tell there! So, it seems that we should not assume we've seen the last of Libby! War Is in the Air. I know everyone loves how I save the juicy stuff until the end. A War is brewing and Michael returned fueling the fire. Michael discusses a plot to save Walt and sends Jack, Locke and Kate on a trip to try and retrieve the guns to take on the barely armed Others to get into a "HATCH" up North! (Anyone Catch the camera panning to Locke when Michael mentioned this Hatch?) The Survivors are moving towards war and several things happened that will change life on the island forever! Michael describes the others exactly how we saw them on the other side of the island, ragged clothes, barefoot, and generally worse off than the survivors. And, of course, barely armed. If you notice, the camera pans to Kate during this discussion who knows a bit more about the others and their "COSTUMES." But nothing really comes out of that. Jack, against his own will, apologizes to Locke for being wrong about Henry. He said he should not have gotten in the way of what needed to be done with their prisoner. All that really seems to come out of this interaction is that Locke requests to be included in the plans from here on out. Which means that Locke is part of the plan for the WAR with the Others. Also that there should be a sense of trust between Jack and Locke. Locke lies (doh!) to Jack about how Ana Lucia got hurt, after his importance to the Others is revealed by Henry! Ana Lucia volunteers to stay behind and watch Henry (after she retrieved the gun from Sawyer) while the braintrust goes to get the guns from Sawyer. Michael is still recovering in the hatch while Ana Lucia is trying to kill Henry but fails due to her conscience. He then talks to Ana Lucia about her situation and then, in true Michael fashion, offers to kill Henry for her. Now, we know how much Michael has developed a Hatred for these others due to them having his Son. So we are meant to believe that he WILL kill Henry once Ana Lucia gives him the gun. We should've known once he asked for the combination (Ana Lucia could've opened the door herself) to the door (18 Right 1 Left 31 Right) that this did not bode well for Ana Lucia. Yet, Ana hands over the gun, Michael says "I'm sorry" and we see where Michael's allegiance now lies. With his son. He shoots and kills Ana Lucia. As if this weren't enough! Libby is now in the hatch, with no wine but Blankets, and comes in to see what the disturbance was....BAM BAM! Two shots into the chest. 2 of our Tailies go down for the count. If anyone saw the 1st one coming, no one saw Libby's coming! And of course....Michael then opens the door looks at Henry and then shoots himself....BOOM.....LOST! While this is a perfect ending to an episode, the previews ruin things by letting us Know Michael is okay! But what it DOES do is establish me as a GENIUS! (please refer back to my quote in Blue up at the top of this Huge Write-up). Michael performs the classic act of making this string of murders look like it was someone else's doing. That would be Henry's doing. This keeps Michael in the loop with the Survivors and provides the ability for him to lead our heroes to their certain doom. You can thank me for ruining the surprise early! Then again, some will still suggest that Michael is brainwashed. But it sure didn't look like it. It looked like he had no choice because THE OTHERS are running the show and have his Son in custody. I'll tell you another prediction of mine that may or not be shot down in an upcoming episode. Remember when we see Jack last episode screaming at the top of his lungs for the Others to show themselves? I think we will see this scene again, but from another perspective. Either that of Michael's or of the others. And we will see exactly how the Others threatened Michael with Walt for him to carry out this task. If you remember, Jack was convinced that Michael was released into the Jungle and that The Others weren't far behind. This storyline seemed to go nowhere in this episode. We can bet that it will return with more importance! Okay, so Ana Lucia and Libby were booted off the island. In a year where it seems like The Sopranos is taking tips from the LOST Playbook, it seems like Lost was stealing ideas from The Sopranos. That idea would be, bring extra castmembers onto the show, develop relationships with them and build significance in one season only to kill them off by the end. This leaves the core of your Main Cast intact for seasons to come. This is how the Sopranos has stayed on the air for 3 more seasons than it really should've. Just keep rebuilding the cast and craftily taking them away. Of course one could argue that it is no mere coincidence that Michelle Rodriguez (Ana Lucia) and Cynthia Watros (Libby) were both charged with DUI's during their stay in Hawaii and they were written off the show due to their rifts with the cast! Does it matter either way? What a fantastic way to go! Other reasons we should've seen their deaths coming. Michelle Rodriguez decided to serve 5 days in prison for her DUI instead of community service. These 5 days just happened to be Last week when they were filming the season finale! An ABC spokesperson stated that it wouldn't conflict with the production schedule. Well now we know why! And of course Cynthia Watros is already signed up for a sitcom Pilot on CBS. So we knew her days were numbered too. But then again, we still need to learn more about Libby and her psychotic past! So who knows what will happen. I know this is getting way too long but there is more I need to share with you! This summer the producers of Lost are planning to put together an online LOST scavenger hunt. If you recall last summer, there were websites out there with easter eggs (like the oceanic airlines website) that could get you to season 2 previews and other goodies. Just something to tide us over in the weeks between seasons. But this year, they are trying to slow down our Tivo's by putting clues in commercials for this scavenger hunt. This week's clue? A Hanso Foundation commercial with the phone number 1-877-HANSORG! Good stuff. If you missed the commercial, you can catch it on the newly revamped web page (with tons of more goodies!) www.thehansofoundation.org If I'm really bored and really get into this scavenger hunt this summer. Maybe there will be something to post on the blog during the summer months! Season 2 DVD Box Set will be available October 3rd, http://www.tvshowsondvd.com/newsitem.cfm? http://www.tvshowsondvd.com/newsitem.cfm?NewsID=5595 This suggests that the Season 3 premiere will probably not happen until Mid-October to Early November. While it will be a painful time off after season 2, this suggests LESS RE-RUNS to deal with once the season begins. I see this as a good thing! Okay, I went overboard this week. But I hope you enjoyed my thoughts. I'd love to hear yours so share away in the comments section. We have 3 more weeks (and 4 hours!) of more Lost to look forward to this season and then I can rest my fingers! Have a great day and I'll see you next week! This morning on Good Morning America, Michelle Rodriquez was interviewed and when asked about the DUI and her character being offed her reply was that she signed her contract for LOST, it stated that her character would die at the end of the season. She also said, that she couldn’t tell any of the cast mates ahead of time and she was adamant that there was no connection between the DUI charge and her leaving the show. GMA also showed a deleted scene. It showed Hurley and Libby running on the beach and talking about what they miss, i.e. her: bathtubs, him: his pot belly pig named Cubbie At the end of the scene, (I am sure I heard it correctly) Libby called Hurley- Harley. No wonder it ended up on the cutting room floor. If your observation about getting action means that your time is running short, what about Jin and Sun??? Thanks again for your blog!! With the 877 phone number, I think the show has now successfully reached every communication medium possible! It's not just about the water cooler anymore. That's one of the coolest things about this show. And if you stretch the imagination, the show is leaking into real life with the DUI charge for Rodriguez! Aaaa Touché JP. Maybe it's because Jin and Sun are married? And maybe it's only if you're seen ON-SCREEN "in the act"??? All we saw of Jin and Sun was a happy Jin and a thumbs up from Hurley! And of course according to standard Horror Movie rules, it's only the women that are succeptable to this rule! Hopefully those deleted scenes make the DVD! And Brendan, I totally agree. They've made use of all of the mediums available to make this one hell of an interactive show. And we are all eating it right up! I need me some more LOST! By the way, I just watched the episode again.....totally missed the first time around that Jin actually returns that THUMBS up to Hurley on the beach when he's cutting up fish. HYSTERICAL! Also...blog correction...Libby says she's going for BLANKETS (hence why she has blankets when she gets shot)....Hurley goes for the wine. 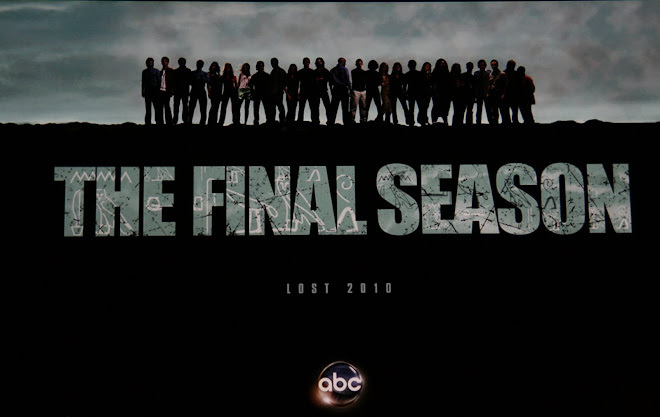 J.J. noted he came up with the idea for “Lost” and pitched it to ABC execs and they liked it so much they gave him four days to write an outline for it. J.J. reported once he did that, he was told he had to write the pilot for the show, cast it and shoot the pilot within 11 weeks. J.J. added he and the other writers knew where they wanted the show to go from the start, although he admitted adjustments are always being made. J.J. also commented that only four people know how the program will end, although he couldn’t guess when that time will come. Nice thanks Jeanne. A lot of that Lost related stuff JJ talked about on the Season 1 DVD. But the 4 people knowing is cool. I'm guessing it's Abrams, Damon Lindleloff, Carlton Cuse, and (drawing blank) Burk....the 4 Executive Producers of the show. Exciting stuff! I can't wait for tonight either! You know what that! Remember the MAP? I have chills just thinking about it! ugh..that was supposed to say "you know what that 'means'"
Interesting, but I still don't love Kate as a character with integrity, and I don't agree that she has left her past entirely behind her and been nothing but "good" on the island. Seems like she has questionable motivation with a lot of her decisions and is willing to lie to get what she wants. I often give physically attractive people the benefit of the doubt (a weakness that leads to much suffering IRL, I believe), but no matter how pretty she is and how sympathetic she seems to be with others, I still see Kate as being very self-centered. Kate is obviously a helluva lot better person than she was in the past and I really do want her to end up with a good outcome (in life or in death), but she rubs me the wrong way. The same feelings go double for Sawyer, despite him getting points for being the funniest character on the show. By the way, Mike, though the horse has long left the barn, Netflix doesn't show previews for the next episode, so it's pretty bad spoiler-wise when you mentioned them. Mind you, I always watch next-ep previews on broadcast shows because I can't resist them, but on DVR and Netflix, they're not even made available. I actually caught myself reading the one in this recap and skipped ahead before it revealed anything juicy about Michael. Great recaps, though I will say you are quick to go off the deep end with wild speculation, oddball rumors and interpretations of obscure details! In a way, I love it because it gives me a sense of that Lost fever that gripped the nation back in its time! On the other hand, I"m glad I'm binge watching so I don't have to live with this craziness for five or six years! My name is camiliedbrono from Florida I have to give this miraculous testimony, which is so unbelievable until now. I had a problem with my Ex husband 2years ago, which lead to our break up. when he broke up with me, I was not my self again, i felt so empty inside me, my love and financial situation became worst, until a close friend of mine Lucy told me about a spell caster who helped her in the same problem too his name is Dr Shiva. I email Dr Shiva the spell caster and i told him my problem and i did what he asked of me, to cut the long story short. Before i knew what was happening my husband gave me a call and told me that he was coming back to me in just 2days and was so happy to have him back to me. We have two kids together and we are happy with ourselves. Thanks to Dr Shiva for saving my relationship and for also saving others own too. continue your good work, If you are interested to contact him and testify this blessings like me, the great spell caster email address is: hinduspelltemple@yahoo.com you are the best among all the spell caster online I hope you see my testimonies and also pray for my family too. 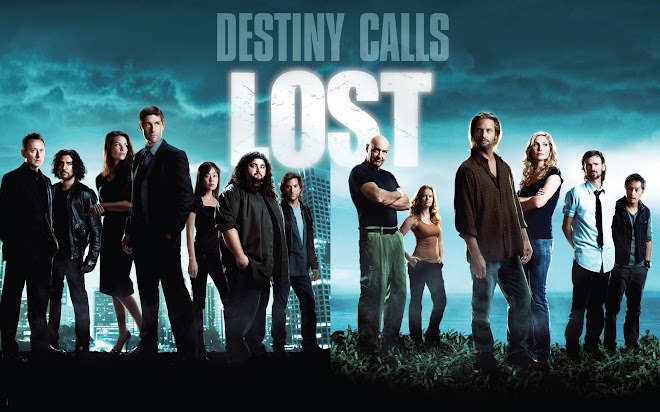 I am from the UK and watched Lost with my son when it was first out on TV and then binge watched as each series came out on DVD. Despite this I have a rubbish memory and it feels like I am watching this for the first time. I had remembered that Ana and Libby were going to die but had totally forgotten how and when!!! I really didn't see it coming! I'm rationing myself to a couple of episodes a day and am enjoying the rewatch with my husband who is a Lost virgin. I found your blog a couple of weeks ago (number 4 on the google search for Lost season 2!) and go straight to it after each episode. I really enjoy your input. Like me you mostly just drink it in and accept the pace it runs at and you are not looking for faults. Like you most weeks I still go WOW or I didn't see that coming! Hi Lesley! Thanks for checking out the blog! That's hilarious that you're rewatching and don't remember anything. I really need to rewatch again. I used to rewatch annually up to the current season then I did one full rewatch after it ended. Now, I'm making comments on Reddit trying to correct people and finding out I'm wrong! lol I'm ashamed of myself! Need to fine tune my LOST chops! Absolutely...I was a go with the Flow type of person with LOST. I just enjoyed the ride. I knew there was no way they could satisfy everyone in the end. But I enjoyed where they went with it. Thanks for taking the time to reply. As I work my way through I find it quite disturbing how many key events happen and I don't see them coming! Head like a sieve. I do remember from my first viewing being totally satisfied with the ending though I've forgotten most of that now lol. I'm loving it just as much this time around. Finale Blog WILL be delayed but DISCUSS anyway! "Lost" Season 2 Episode 21 - ?